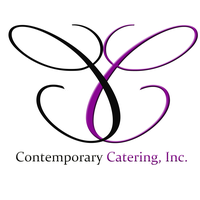 Contemporary Catering invites you to join us as we host our April Business-After-Hours. “A Sweet and Savory Spring” will showcase delectable food stations featuring new menu items! 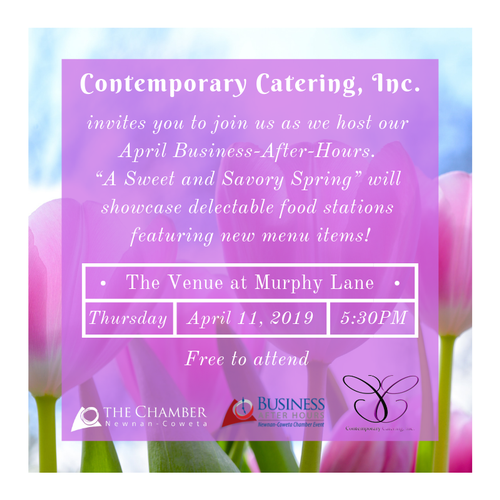 Business-After-Hours provides an exciting business networking opportunity for current and prospective Chamber members to connect while establishing and renewing relationships. Attendance at Business-After-Hours typically ranges from 75 to 100 members and is usually held monthly on the second Thursday of each month from 5:30-7PM at the host's business or selected venue. Must be a Chamber member business. 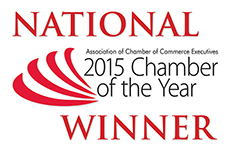 Contact Susan Kraut for additional details or to inquire about hosting a Chamber networking event!